Corserva has an active SAM registration. Corserva is a small disadvantaged business as defined by the federal government. We are listed in sba.gov, and you can find us in the Dynamic Small Business Search. The company is a state certified minority business enterprise (MBE). We are a proud member of the Greater New England Minority Supplier Development Council (GNEMSDC). Corserva provides IT managed services for government entities. We own two geographically dispersed, SSAE 18 SOC 2 Type II, HIPAA and PCI compliant data centers in Trumbull, Connecticut and Orlando, Florida. We are not the middle man between you and another colocation vendor. We are your direct contact when you have a problem. Companies that manufacture parts and provide services for suppliers serving federal and local governments should be compliant with the latest NIST 800-171 mandate as of December 31, 2017. NIST dictates how Controlled Unclassified Information (CUI) is stored and accessed. 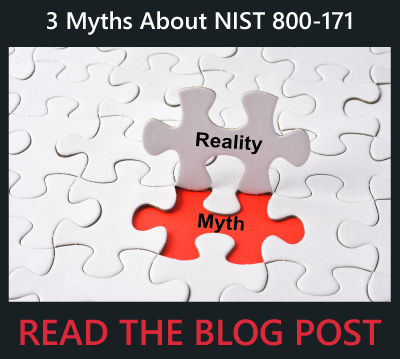 You can learn more about NIST compliance in the blog post, “Leveraging NIST Assessments to Become NIST Compliant.” For most companies, the easiest, most efficient, and most economical route to become NIST compliant is to use a third party to perform a NIST 800-171 assessment. Corserva offers a specific program to enable companies to become NIST compliant.